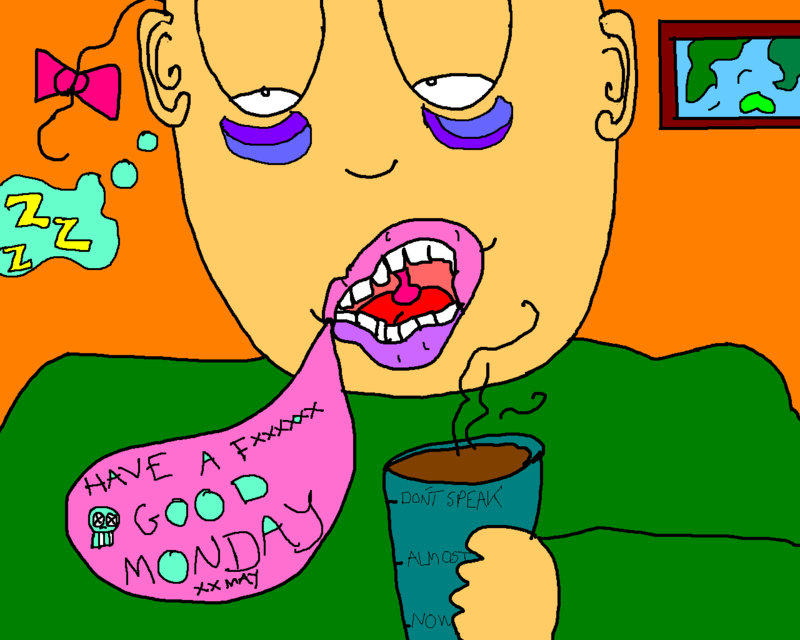 Cartoon of my life:Have a jolly good monday morning! | Amsterdam, baby! Cartoon of my life:Have a jolly good monday morning! Anyways, have a nice monday! This entry was posted in Uncategorized and tagged Amsterdam, art, artsy fartsy, Cartoon, cartoon of my life, funny, LOL, monday, morning by maypaj. Bookmark the permalink.